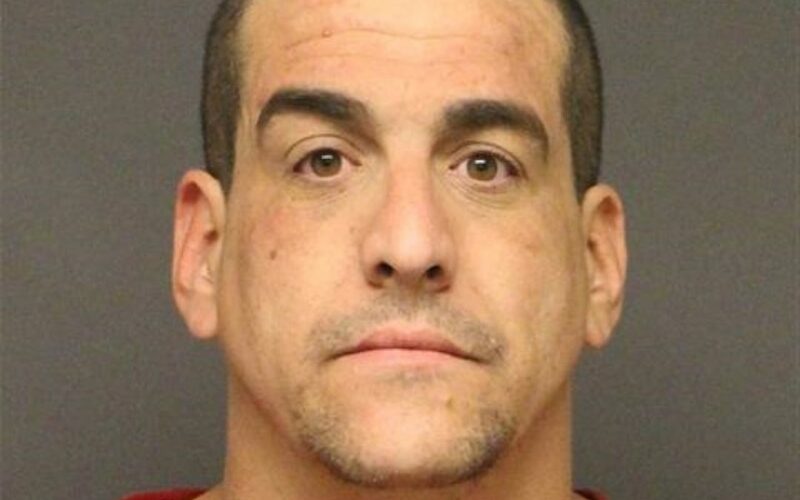 DOMESTIC VIOLENCE/ KIDNAPPING- MOHAVE VALLEY Mohave County Sheriff’s Office Deputies arrested Joshua Leonard Husted, 40 of Fort Mohave, for Threatening/ Intimidating, Unlawful Imprisonment, Kidnapping, all per Domestic Violence, and Aggravated Assault on an Officer, all felonies. On Saturday (2/10) at approximately 12 PM, deputies responded to a residence in the 7800 block of Whitewing Dr. in reference to a disturbance. The reporting party advised that Husted, who has a history of Domestic Violence at this address and active warrants, was observed forcing entry into a neighbor’s house. Deputies responded to the residence and attempted to make contact by knocking on the door, with no answer. Deputies attempted to park down the street with a visual of the residence, but never saw Husted leave. Deputies received a call a few hours later advising Husted had left the property and deputies responded to make contact with the victim. The victim advised deputies she had been in the front yard of the property when she observed Husted across the street and he began yelling at her. The victim advised she went inside the residence and shut the door. Husted allegedly began pounding on the door, demanding to be let in or he would “burn the house down”. The victim advised she and Husted were in the residence when deputies arrived on scene and alleged that Husted threatened to assault her if she moved or said anything. Deputies offered to transport the victim to a nearby shelter, which was denied. Deputies then cleared the residence. At approximately 5 PM that evening, the same reporting party called back to advise that Husted was at the residence again and the reporting party could hear yelling. Deputies responded to the residence, and with the assistance of Fort Mohave Tribal Police, a team forced entry into the residence. Upon entry, the victim was located unharmed in the living room. Deputies continued down the hall, and came to a closed door, and when they attempted to open it, Husted pushed back against the door to close it. Verbal commands were given for Husted to exit the room. Deputies attempted to open the door again, and when Husted shoved back against the door, he caused an injury to one of the deputy’s legs. The door was finally forced open, and deputies observed Husted standing in an aggressive manner. Deputies deployed their taser, and Husted was taken into custody. Joshua Leonard Husted was arrested and booked into Mohave County Adult Detention Facility without further incident.